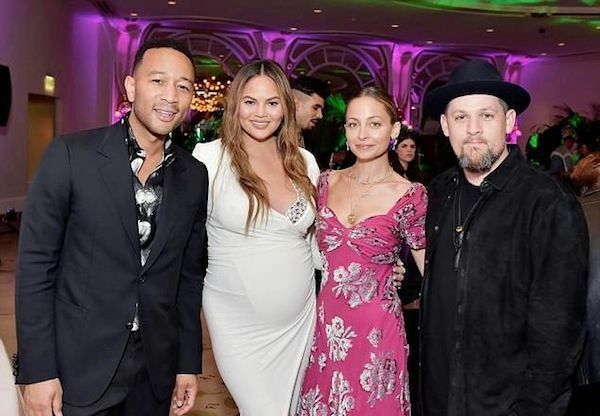 John Legend and Chrissy Teigen are still waiting the arrival of their new bundle of joy that will join big sister Luna Stephens. 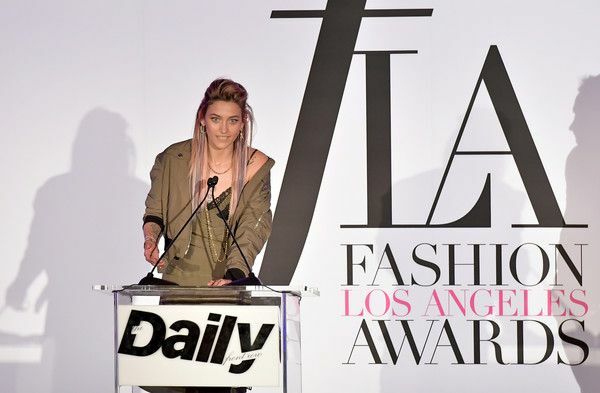 As you all know by now, John & Chrissy love doing date night and Sunday’s evening began with hitting Daily Front Row’s 4th Annual Fashion Los Angeles Awards at the Beverly Hills Hotel. The couple sacrificed comfortable quiet Sunday evening at home to support their friend, Jen Atkin, who was presented with the hairstylist of the year award. Hosted by Derek Blasberg, the award show honors celebrities, stylists, designers and emerging talent. The “Lip Sync Battle” commentator was all smiles while holding her stomach as she made her way down the carpet, showing off her growing baby bump in a white long sleeved gown by Alexandre Vauthier. The happy couple will be celebrating their daughter Luna's 2nd birthday later this month. And the new baby is expected to make his arrival in June. 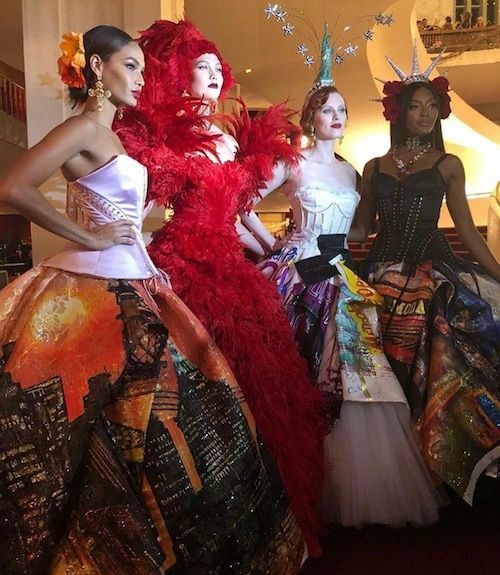 "Empire" star/singer Serayah, who recently realeased a new video treatment for her track "GTTM (Going Through The Motions)," made a splash on the scene in a crimson off-the-shoulder gown. Catch Serayah on a new episode of "Empire" tomorrow night at 8pm EST on FOX. The little black dress always comes through. Fifth Harmony singer Normani knows a thing or two about it. If you haven’t heard, Fifth Harmony has gone on hiatus, which means, Normani is ready to jumpstart her solo career. She recently signed to Keep Cool/RCA Records and she’s the first artist to do so. EJ Johnson is always dressed for the occasion. Oh, hey girl! Paris Jackson, daughter of the late Michael Jackson, struck a pose on the carpet before hitting the stage to present. It’s spring and “black-ish” star Marsai Martin is on trend. The YBF actress kept it cute in a white Alexander McQueen shirt dress cinched in with a pink Apuje Kalu belt. Well this is an interesting look from DOPE actress Kiersey Clemons. The 24-year-old has a few new projects coming down the pipeline, including Sweetheart, An L.A. Minute and Untitled The Flash Film. Model Ava Dash, Dame Dash and Rachel Roy daughter, is still lighting up the fashion scene since being signed to DT Model Management. She rocked a LIONESS dress, ATICO sandals and she topped her look off with a jacket from her mom's collection. The ladies can work it just like the fellas. Singer Leona Lewis kept it stylish in an Marc Jacobs pantsuit topping her look with a headwrap. Reality star/socialite Nicole Richie hit the carpet alongside honroee/stylist Jamie Mizrahi. Issa reunion! Inside, Nicole caught up with her former bestie Paris Hilton. Nicole's hubby Joel Madden was also in the mix. 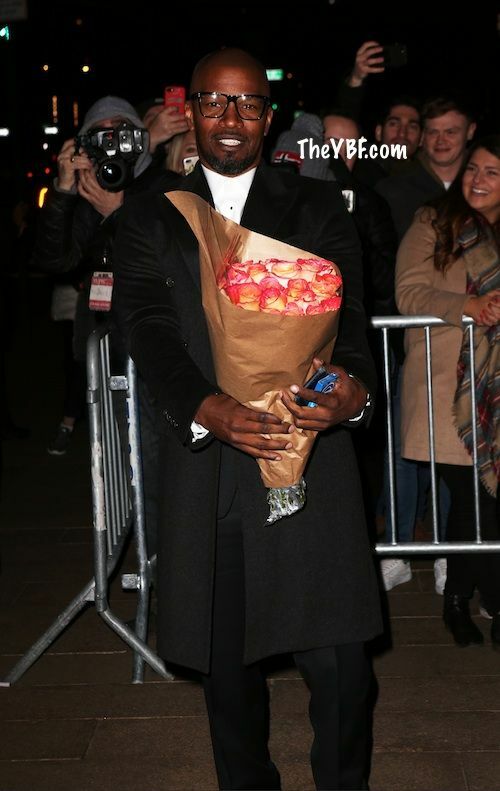 Corey Gamble cuddled up to his girlfriend/momager Kris Jenner. Celebs stopped for several photo-ops together during the soiree. Fun times. 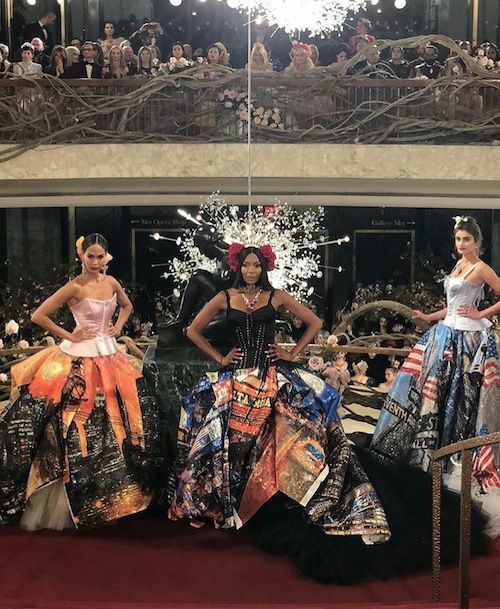 Models Joan Smalls and Naomi Campbell took our breath away when they strutted inside the Metropolitan Opera for Dolce & Gabbana Alta Moda Women's Couture Fashion Show in NYC. 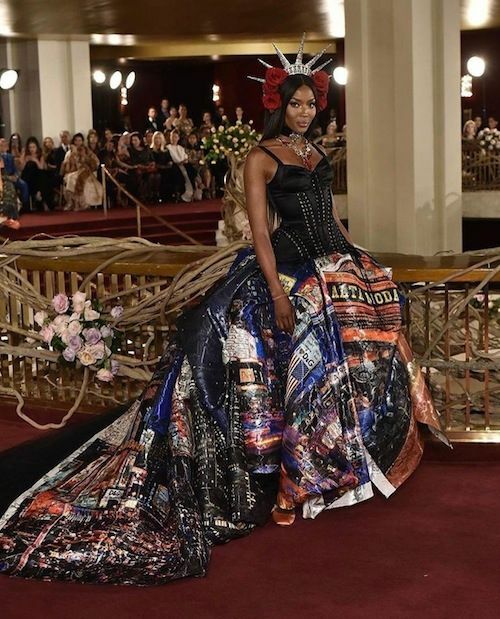 This year’s theme was "Heavenly Bodies: Fashion and the Catholic Imagination” and the Italian fashion house totally delivered with their bold and funky designs. 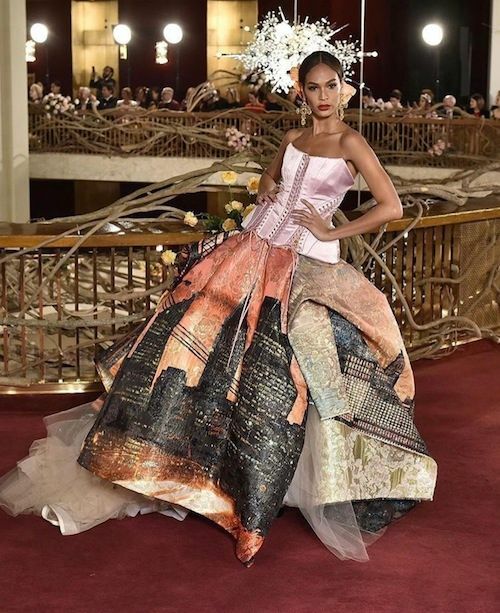 Aspiring model Lori Harvey, daughter of Steve & Marjorie Harvey, also hit the runway, adding new shows to her growing model resume. 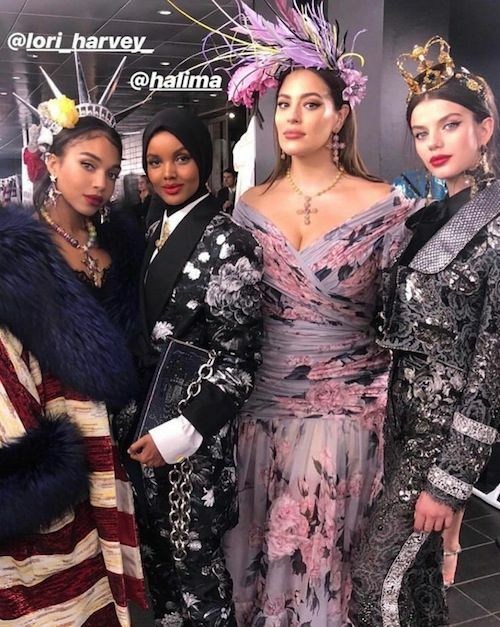 Models Halima Aden and Ashley Graham were also tapped to walk in the show. And we all know seeing these ladies hit the runway for Dolce & Gabbana is a big deal! They are not your traditional "fashion model" and we love it. 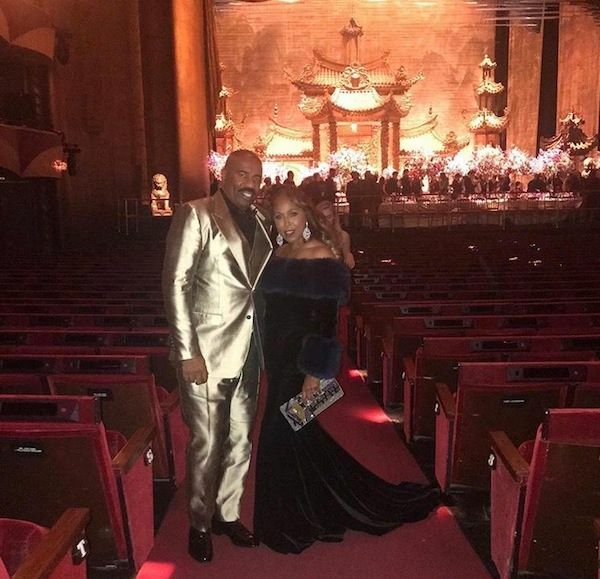 Steve and Marjorie Harvey were in attendance to show their daughter Lori support. 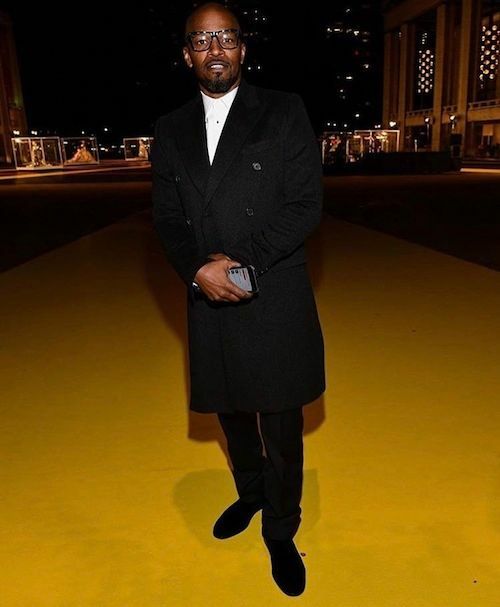 Actor/comedian/singer Jamie Foxx was also in the mix for the fashion festivities.